Making sure you get the right lens for you! The Big Optician has a robust contact lens practice with 1000s of very happy contact lens patients. Optometrists at The Big Optician have over 40 years experience at fitting contact lenses. Our optometrists are experienced at fitting contact lenses to people of all ages, from children as young as 9 years of age to grandparents who are now wearing contact lenses for the first time. Contact lens technology has developed significantly in recent years and continues to develop rapidly as more of the global population are wearing contact lenses than ever before. New materials and new technologies mean that our opticians can usually successfully fit contact lenses for those people with the most complex of prescriptions. Optometrists at The Big Optician have access to the widest choice of contact lenses on the market and it is one of the only practices in Newcastle to supply contact lenses from stock. Our optometrists use high tech instrumentation to provide a very high standard of examination. The Big Optician is an independently-owned optician. 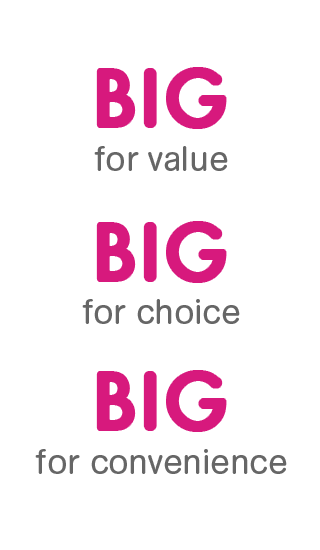 Unlike some practices, we are not tied to providing own-brand or a limited range of contact lenses. This means that optometrist at The Big Optician can recommend the contact lens that is the very best for you and your vision, not just the lens from the range that they happen to have available. We supply contact lenses from all of the major contact lens manufacturers such as Ciba; Coopervision; Sauflon; Johnson & Johnson Acuvue and Bausch & Lomb as well as some of the niche specialist contact lens manufacturers. This means we can have bespoke contact lenses made to the specific requirements of those people with highly complex prescriptions. Opticians at The Big Optician are highly skilled and experienced at fitting rigid gas permeable (RGP) lenses too. Optometrists at The Big Optician embrace new contact lens technologies. For example, they are fitting more and more people with new multi-focal contact lenses. These work in a similar way to varifocal spectacle lenses and are proving popular with people over 40 who require extra help with their near vision and reading. The Big Optician wants to make contact lens wear as convenient as possible. Our support staff are very experienced in teaching new users how to easily and safely apply, remove and care for your contact lenses. We offer Direct Debit contact lens schemes that incorporate home or store delivery. 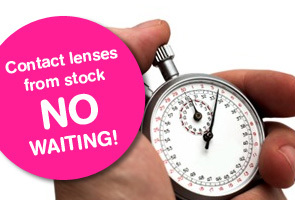 We also sell contact lenses in 3; 6 or 12 month bundles, with or without solutions. Our Direct Debit contact lens scheme entitles you a number of additional benefits such as: FREE contact lens after-care appointments; FREE 2-yearly eye examinations and up to 20% DISCOUNT off the cost of new glasses and sunglasses. Whether you are an existing contact lens wearer or someone considering wearing contact lenses for the first time, call The Big Optician today to make an appointment.